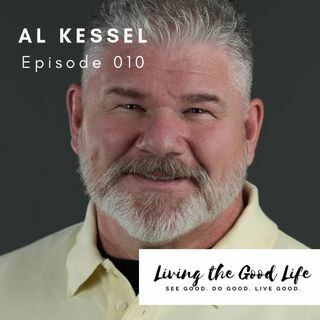 Al Kessel is a full-time narrator and voice actor who works out of his professional home recording studio in sunny Arizona. He began several successful podcasts in 2010 and is a prolific audiobook narrator and has lent his voice numerous other projects, including apps and video games. He's not all work though... let's learn more about Al Kessel. He likes to focus on the “good” stuff. Audio books weren’t where he wanted his career to go. But he loves books and always finds something ... Más informaciones appealing. He never read a book in his voice. He always created a character voice to match his imagination of the character. His audiobook career spans the time since 2013. Before that point, it was doing podcasting with his wife. He had been doing the same job for 15 years, then he was downsized out of a job. He began his voiceover journey. It got hard, but his wife encouraged him to stay with it, even when he would get discouraged. Recording audio books means sitting for very long times – hours even. But even though you are all alone, you are talking “with” someone. Not just a cold heartless microphone. He imagines himself sitting around a campfire telling stories and his listeners are spellbound. His philosophy? Every story deserves to be told. Every story. Every story also deserves to be heard. Fun comes from hanging out with his posse- collection of figurines - all around him in his studio. His cast of fun characters includes Buzz Lightyear and other fun characters. Al and his wife love DisneyLand. Tales from the Mouse House comes from a visit to DisneyLand. The second he walked through the gates, he was a kid again. Then the ideas flowed. They did the podcasts for a couple of years. They thought people would want to know of the little hidden details and interesting things to do in DisneyLand. When they stopped doing it, there were about 75,000 downloads per episode. Al says podcasting is an interesting medium. It is a great way for anyone to get their great ideas out into the world. It’s really about taking passions and monetizing them so that you can continue doing what you love. Because the key to success is doing something you are passionate about it. Your audience can always tell someone who is just reading a script to someone who is connecting with people through their passion. Everyone faces times when they want to “throw in the towel”. Al had been used to having an idea and being successful with it. The voiceover industry doesn’t work that way. As this was unfolding, Al was 49 years old. He had been at a job for a long time. People don’t want to see these things on your resume. So, they pass you by. He pulled his big boy pants on to give it his all. Al’s wife supported me with incredible grace. I knew if I could make a success of what makes me happy, we would both be happy. Al’s most memorable projects are – the first one was Out There. It was the life story about a 100 mile runner. He actually chose me to read his story out of hundreds of auditions. His book portrays his struggles with various addictions. He was really broken and had a heart attack. He left the hospital and started running. It is an inspiring story. The other memorable book was by Dr. DisneyLand, Jeffrey Barnes. He wrote a couple of books. They are backgrounded in Walt Disney and the Disney parks to make his points. The non-fiction is where I get inspired and get involved. There are so many stories to be told in non-fiction form. Even the quietest mouse in the corner has a story. A good life is doing something you are passionate about, something you love doing and sharing it with someone. How can you do either, if no one knows about what you do? Marketing is what gets your work into the lives of those you serve. Fruition Studio helps entrepreneurs use marketing to connect with customers and grow. Fruition Studio offers a full spectrum of email marketing, copywriting and design services. Find free tools and more at fruitionstudio.com.